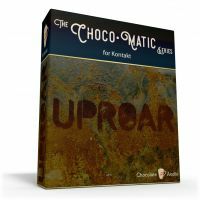 Uproar for Kontakt - The Choco•Matic Series by Chocolate Audio is Soundware (e.g. samples or presets that load into other products). Uproar is a collection of phrases coming from a custom ESP baritone guitar, tailored for use in cinematic scenarios or heavy music. 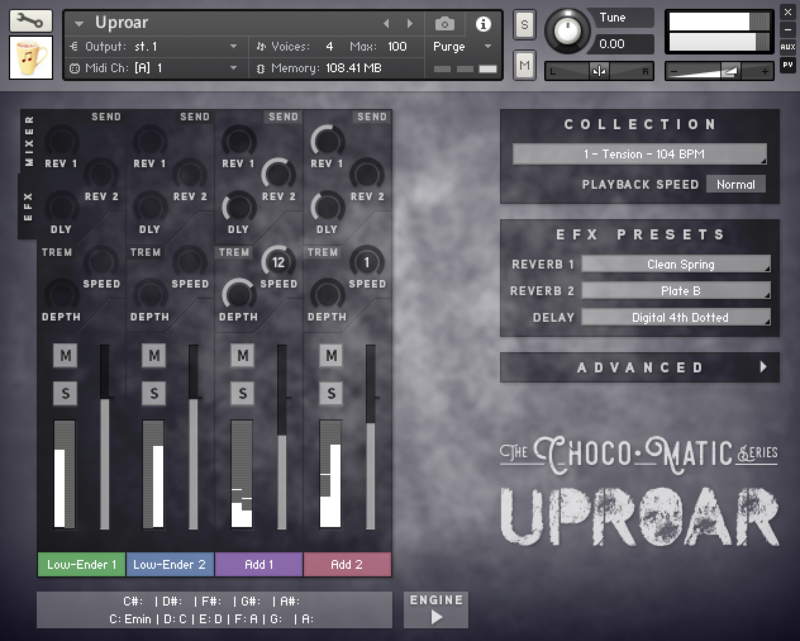 6 Collections ranging 60 to 157 BPM. 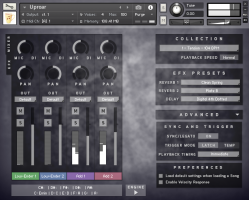 4 Parts for each "Song". 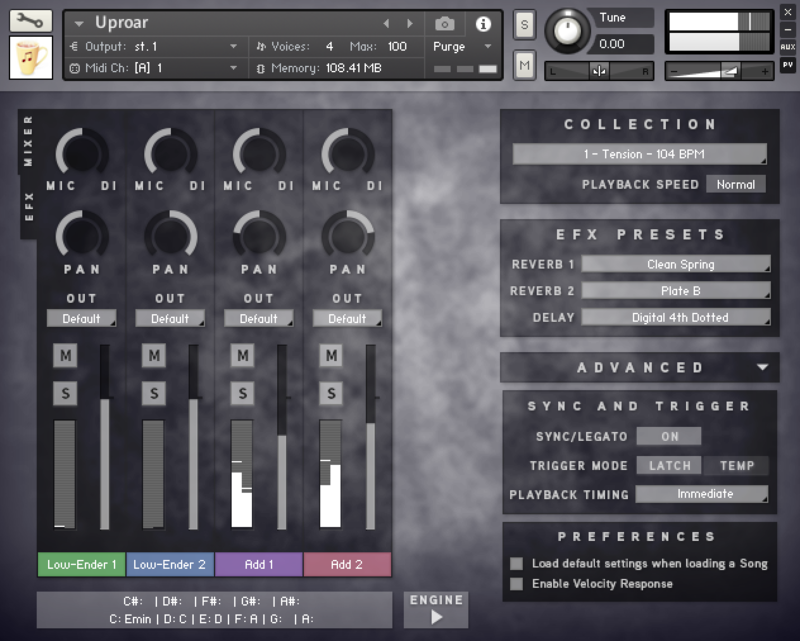 Each Part features up to 5 Tonal Centers. A total of 1,306 Phrases. 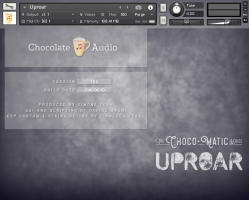 1.65 GB uncompressed content (985 MB compressed). 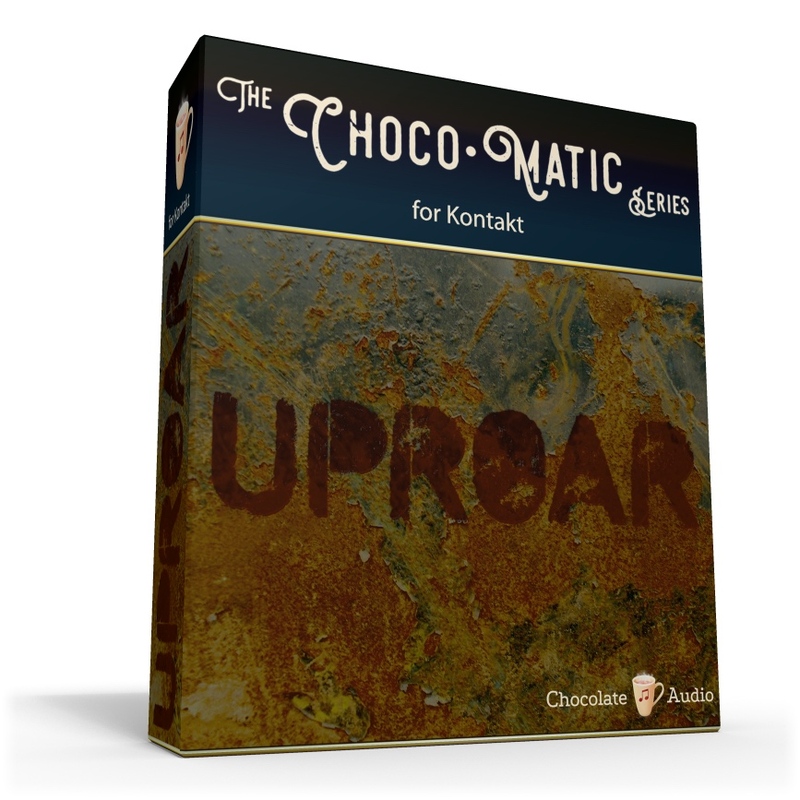 Version 2.0 of our custom innovative Choco•Matic phrasing engine for Kontakt 5.5.2 and up (Full Version). 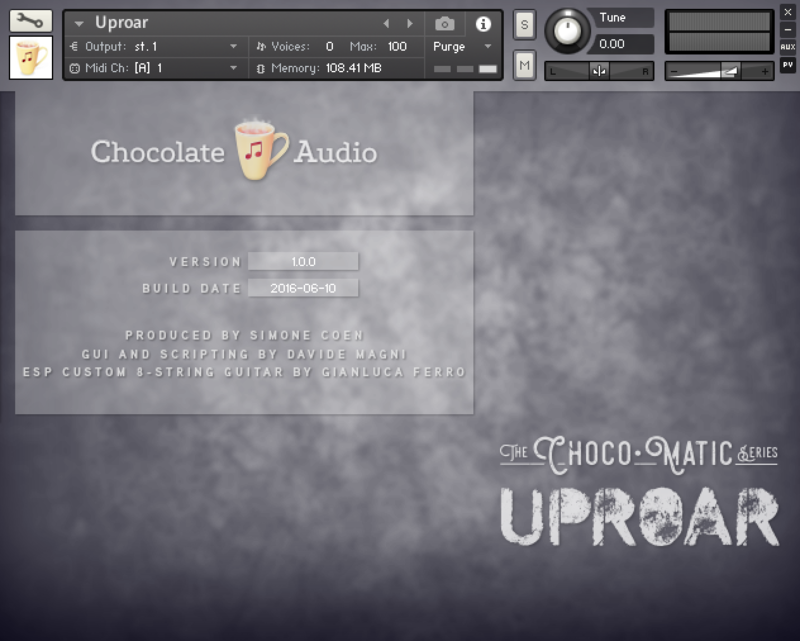 Requires 2 GB of RAM and 1 GB of disk space (the more the better).